Fast-paced Real Time Strategy game 8-Bit Armies is coming to PlayStation 4 and Xbox One on the 21st of September, both digitally and physically. A physical PC version will also be released on this date. 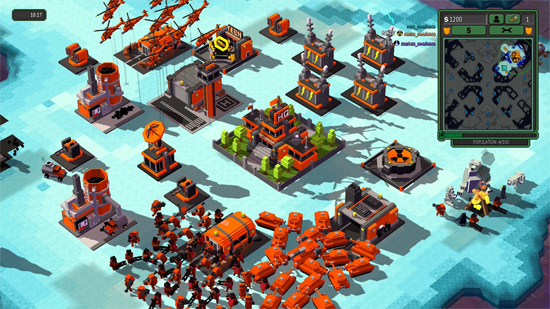 The eagerly awaited action-strategy title was made by the Command & Conquer era veterans at Petroglyph. 8-Bit Armies is a tribute to classic RTS games and is suitable for existing fans and new players of the genre seeking a friendly approach to strategy gaming. With a colourful, blocky voxel art style, the game is accessible to anyone regardless of experience. The game is further enhanced with an all-original soundtrack from Command & Conquer music composer Frank Klepacki, which is reminiscent of some of his greatest hits from previous Westwood Studios RTS games. 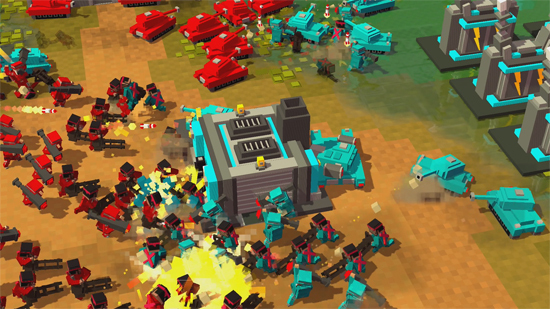 8-Bit Armies uses a unique and simplified control scheme allowing future generals to quickly control hundreds of units on the brightly coloured battlefield. Players can easily collect resources, build up and defend their bases, amass armies of easy to command military units, research devastating super weapons and ultimately crush their opponents!